The Johnson Heavy-Duty Fiberglass Tripod is a tough and reliable tripod that offers solid support and extendable height of three feet and eight inches up to six feet. Built to withstand heavy-duty use, it features a sturdy and durable fiberglass construction. 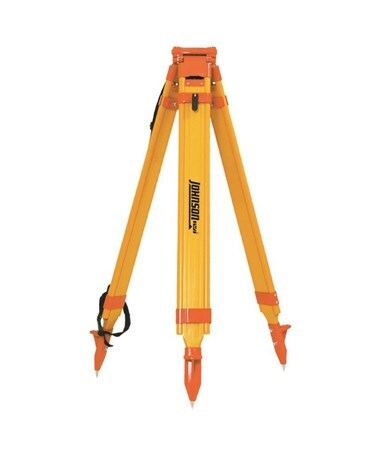 It is equipped with a plumb bob hook that allows it to be leveled and aligned with great accuracy. This heavy-duty tripod by Johnson provides superior stability with its wing screw locking mechanism that securely holds its adjustable legs in position. Its feet come with sharp metal points that offer excellent grip when working on uneven outdoor terrains. For hassle-free transport from jobsite to jobsite, it includes a convenient carrying strap. 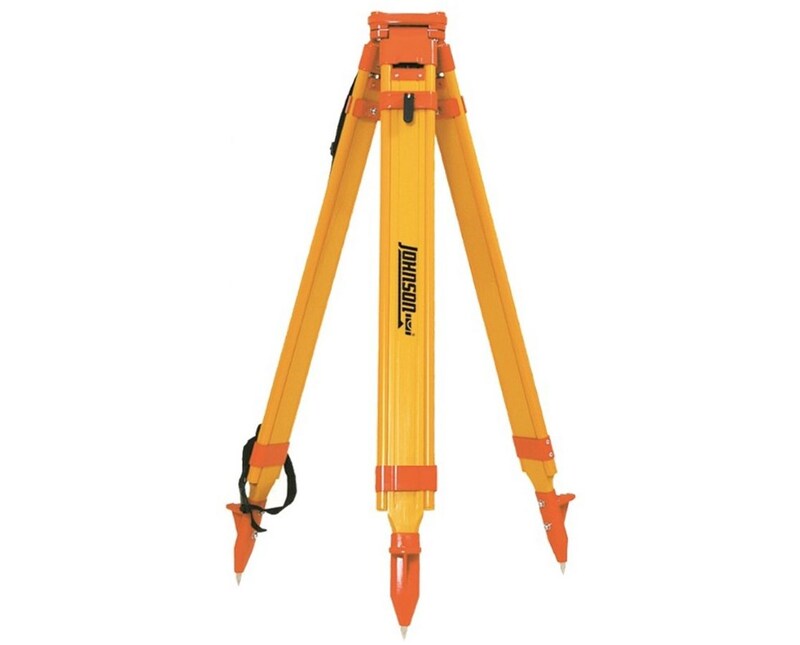 The Johnson Heavy-Duty Fiberglass Tripod has a flat head with standard 5/8-11 threading that enables it to be used with most construction and surveying tools such as grade rods, laser poles, laser levels, and detectors. Its yellow finish with orange trimming is designed for easy visibility. It is supported by a one-year manufacturer’s warranty for guaranteed efficiency.